And that connects to the second term, shareholders. Chinese shareholders are similar to their counterparts in developed markets in name only. Their behavior is clearly very different. They trade in high volumes, with huge speed, and follow a herd mentality. They are almost gaming rather than undertaking proper research on and understanding of the companies whose stocks they are buying. A market anywhere relies to some extent on investors’ gut instincts. There is no precise science of choosing winners and losers. Even so, Chinese shareholders go through stock with such high speed and volumes that they must clearly be leaving most outcomes to chance. The government knows this. No wonder it needs to intervene; its intervention, in fact, is the only thing that shareholders do believe is a certainty. Everything else is chaos. Shareholders behave in this somewhat chaotic way because of the third issue – the nature of Chinese companies. Put simply, the vast majority of the 900 or so Chinese companies listed on the Shanghai market are unknown quantities in terms of their real quality and long term value, their balance sheet, governance, and true ownership. The more pessimistic would say that very few of them have the governance, transparency, brand, or intellectual property to really be sustainable deliverers of shareholder value. Underlining this sense of transience and vulnerability is the anti-corruption sweep on non-state companies in the last few months. Even the most prominent CEO in China can be tripped up by mysterious political fiat, no matter how good they are commercially. In fact, in this slightly “through the looking glass” world, commercial success that is too dramatic in China only raises unease and suspicions about what role the government really plays, and how secure the company is. The world’s most fickle, and disloyal, shareholders, added to companies that are simply not mature enough or good enough to satisfy their profit instincts, plus large trading volumes, and (at least in recent years) plenty of capital swishing around – this is a pretty potent mix. It means that Chinese shareholders and shareholders elsewhere, and Chinese companies and companies elsewhere, are different – and that means that the stock exchanges in Shanghai and Shenzhen despite all the similarities in names and terms are unique, as is the way the government in Beijing talks about them and treats them. They literally belong to parallel universes. It is hard to see these universes inside and outside China converging any time soon without the government biting the bullet and simply cease intervening, or shareholders radically changing their behavior and expectations, or, perhaps the least difficult, Chinese companies dramatically upping their game. But all of these three potential changes are interrelated. One can’t happen without help from the others. 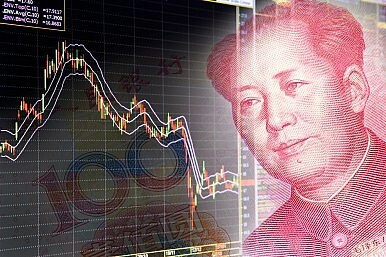 The Chinese stock exchange in microcosm shows just what a vast challenge the Chinese government has as it tries to reform the country’s economy and stop speaking its own unique economic language. It is also a real battlefield for determining just how viable and robust this idea of unique Chinese outlooks suitable for local conditions actually is, or whether in fact there are ‘universal’ principles which need to be observed to build a fully functioning, sophisticated modern stock market – ones that involve free flows of information, and fully independent rule of law.